The process of applying a rotating and abrasive wheel on a surface to bring about its smooth finish is known as Surface Grinding. In an era of technological precision, the perfect finish of metal and metallurgical parts play a crucial role. Industries are in need of metals with polished flat, form, radius, parallel, square or specifically detailed surfaces. High precision surface grinding carried out by CNC controlled or manual grinders are capable of producing the necessary mirror-like surface for an array of parts. Precision plays an important role when carrying out the process of grinding as some surfaces may be only a few microns thick. Large flat surfaces with fine parallelism tolerance, in particular, pose a special challenge and can be accomplished only with the necessary machines. Almost all mainstream industries like Agriculture, Petroleum, Automobiles, Railroads, Metal Industries are continually in need of accurate surfaces with a fine finish. 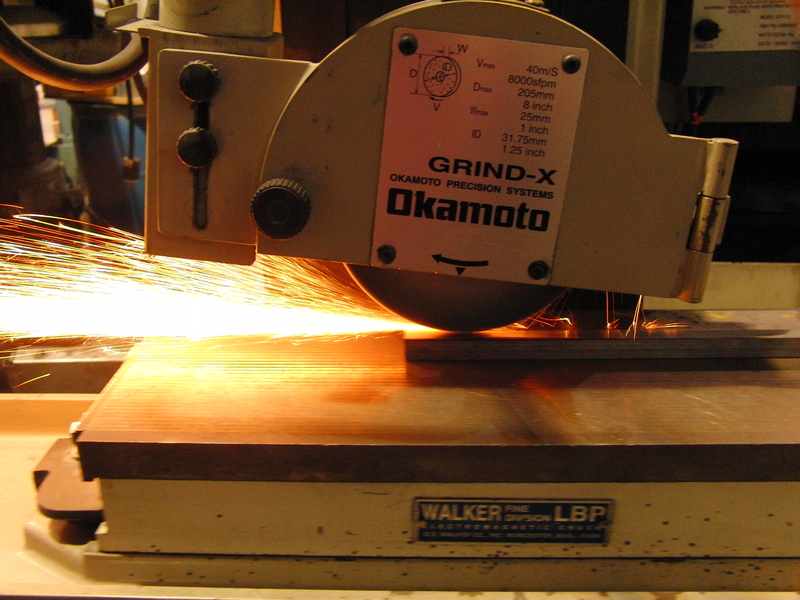 Grinding is carried out on the surface of parts of the same or even different materials that need to be joined. The length of the parts can range anywhere from a few inches to several feet, same holding true for width. Technology continues to play its role when carrying out the work of grinding leading to finer measurement accuracies, less corrosion and better temperature control during the process. Large segments of the grinding works involve regrinding and refurbishing thus refinishing and carrying out emergency repair works. As a 5th Generation family of metal workers, LPFAB has the infrastructure and latest technological know-how about Surface Grinding in Utah to handle the demands of almost any industry verticals. Our facilities are spread over 22,400 square feet in Lake Point, Utah catering to all local as well as industrial requirements.